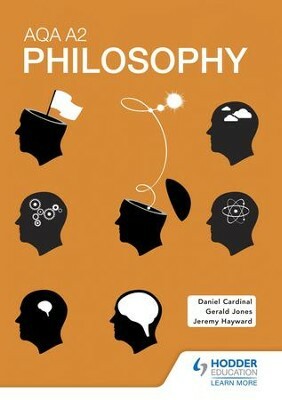 Motivate students to think philosophically with this accessible and imaginative guide for the latest specification, brought to you by the market-leading A-level publisher. Written by the authors of our bestselling AQA AS Philosophy textbook, this title covers both A2 units, Ethics and Philosophy of Mind, using the same clear style and modern examples throughout. Gerald Jones is Head of Humanities at the Mary Ward Centre, a DfES beacon college in central London. Gerald has also lectured in philosophy and critical thinking since 1990, and at the Institute of Education since 1996. He has a particular interest in the subtler and more nebulous skills and processes of adult education - and in harnessing tutor power through teacher-led think tanks. He has developed a games-based approach to teaching philosophy that has made it accessible to a wider range of learners, from the under-8s to the over-80s. He has published several books including Exploring Ethics, Gatekeepers, Midwives and Fellow Travellers and a series of six philosophy books for Hodder. He is currently on sabbatical, with his family, in Sydney, Australia. I'm the author/artist and I want to review AQA A2 Philosophy / Digital original - eBook.